This Trinity knot ornament is enhanced with an interlaced circle. 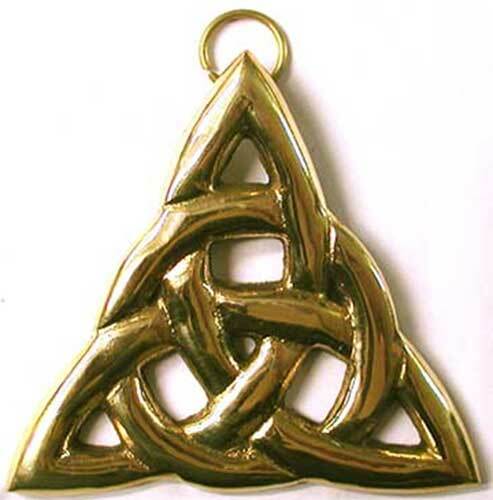 This Celtic wall plaque features a solid brass Trinity knot that may also be used as a Christmas ornament. The Trinity ornament has a dimensional design and measures 3" wide x 3" tall x 1/8" thick. The brass Trinity knot is made in Ireland by Liffey Artifacts and is gift boxed with a Celtic knot history card, complements of The Irish Gift House.